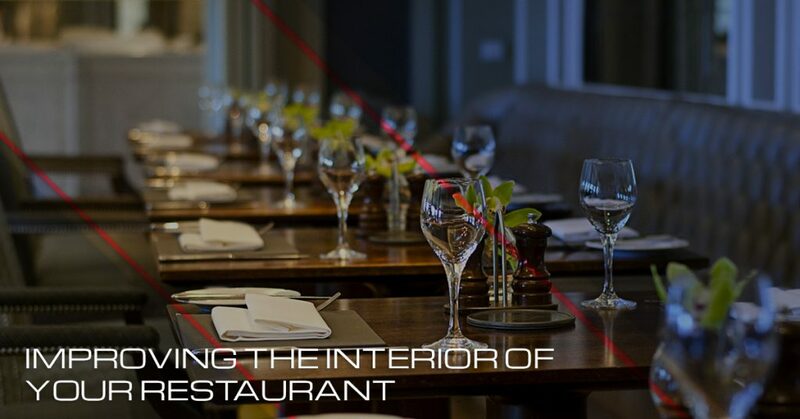 From the squishiness of the dining chairs to the shade of paint covering the walls, it’s the little elements of your restaurant’s interior that determine the comfort of a dining experience. Sometimes it doesn’t matter how good the food your serving up is, if your place is uncomfortable, people will have a deep-seated feeling of not wanting to return. For this reason, it is important to remember that you are creating an experience. All West Surface Prep loves helping Denver restaurant owners create an experience, specifically by installing concrete floors that are beautiful and built to last. Contact All West Surface Prep today to learn more about our polished concrete floors for restaurants and to get your free quote. Comfort is a big part of a restaurant’s overall appeal. Outlining all of the contributing factors of comfort can be quite difficult. While chairs, booths, tables, and temperature are all important components of a restaurant’s comfort, lighting is also a big part of the equation. The lighting should be soft and flattering, allowing guests to relax and feel like they can enjoy their stay at your restaurant. To achieve this, many restaurants will incorporate ambient lighting that complements the more targeted, architectural lighting. One thing to avoid is the type of lighting that hangs above patrons and casts shadows on faces. Of course, keeping your floors and tables clean is a big part of attracting and keeping patrons coming back. However, another component of cleanliness is keeping the design and layout of the space clean. The design of your restaurant should mirror your operations. For example, all the tables and chairs should be arranged in accordance with the route the food takes when coming from the kitchen. Similarly, the layout should also coordinate with the number of waiters and staff. The ultimate goal is for a clean layout that allows your operations to work seamlessly and effortlessly within your designed space. Many restaurants have wisely repurposed old industrial spaces, creating an industrial-chic look that is all the rage these days. While all the exposed brick and polished concrete floors look great, they can be a bit noisy. As a general rule, the more hard surfaces you have, the louder it will be in your restaurant. To combat this noisiness, consider installing curtains, rugs, and, better yet, noise-absorbing material. On the other side of the spectrum, be sure not to make your restaurant uncomfortably quiet. This can be even worse than a restaurant that is too loud. The psychology of color is a complex thing. Oftentimes, simply using some color common sense can be enough. Does bright orange seem like a comfortable, restful color? Will off-white walls get your customers excited to eat? When trying to improve your interior space, experiment with color. Aim for colors and accents that create a cozy space that matches your goals and aesthetic. Concrete polishing has proven to be a great addition to restaurants for a number of reasons. It is durable, cost-effective, installs quickly, looks great, and is a breeze to clean and maintain, which is crucial for a place where sanitation and cleanliness are paramount. If you have old, worn-out concrete floors in your restaurant, this may be just the update your space needs. Expert commercial floor polishers take great pride in helping clients develop unique designs, textures, and looks. This is certainly something we enjoy doing at All West Surface Prep. Learn more about our concrete polishing services, and check out our polishing gallery to see some of the polished concrete floors we have built for restaurants in the Denver area.